1. Open your browser and login to your Hotmail/Outlook.com account at http://www.outlook.com. 3. In the menu on the left, select POP and IMAP. 4. Under POP options, select Yes under Let devices and apps use POP. 8. 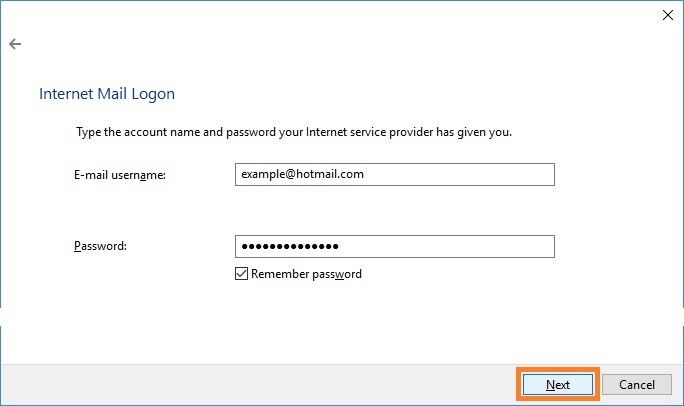 Click Next, and then enter your full Hotmail (Live, Outlook.com) e-mail address under E-mail username and your password under Password. Click Next. 10. 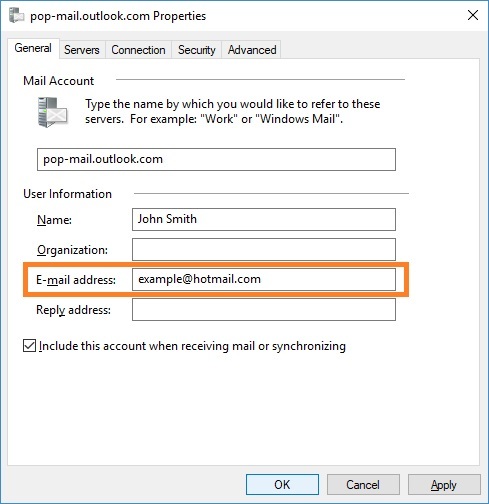 On the Internet Accounts screen, make sure that your pop-mail.outlook.com mail account is selected, and then click Properties. 11. 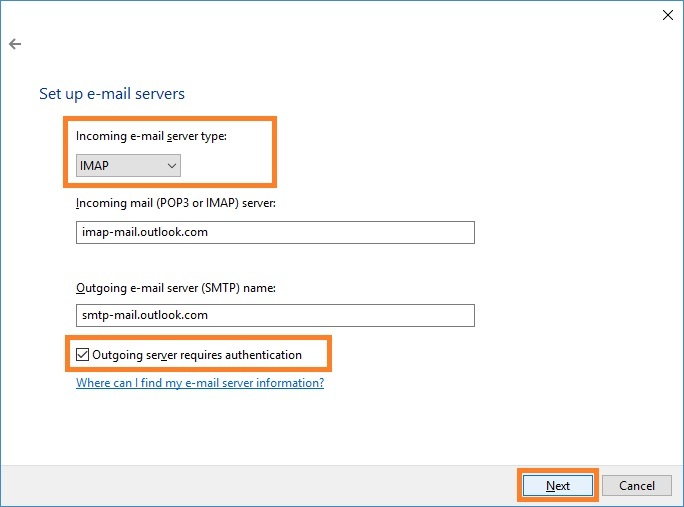 On the General page, under E-mail address, append ".com" to your e-mail address to complete it, see also step 6. 12. 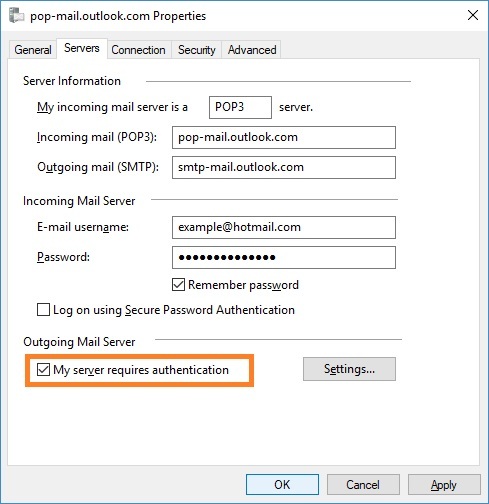 On the Servers page, under Outgoing Mail Server, make sure that My server requires authentication box is checked. 13. On the Advanced page, check the box next to This server requires a secure connection (SSL). Make sure that 25 is entered in the box next to Outgoing mail (SMTP). Please note that Explicit SSL mode (STARTTLS, port 587) is not supported in Windows Mail, so you only can use Implicit SSL mode with port 25. 14. 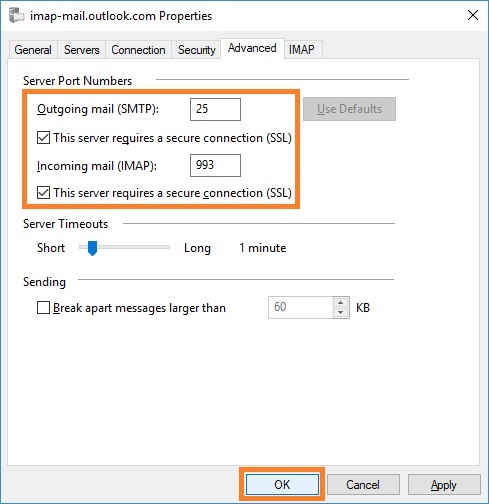 Check the box next to This server requires a secure connection (SSL) under Incoming mail (POP3). 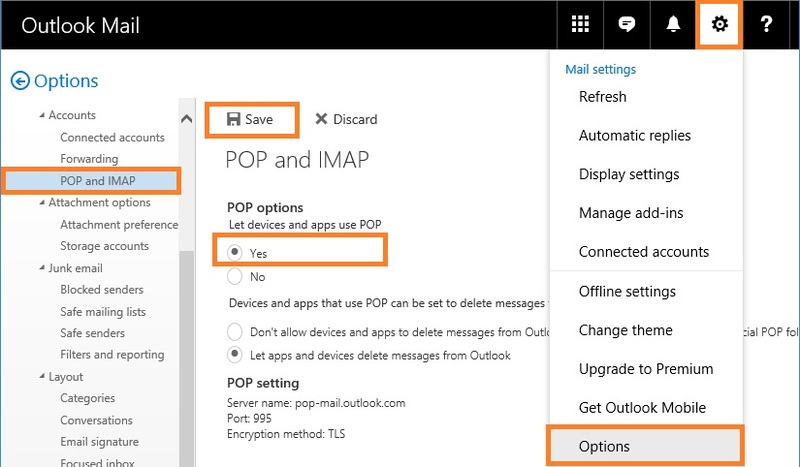 The box next to Incoming mail (POP3) should be automatically updated to 995. 15. Click OK. You're done! 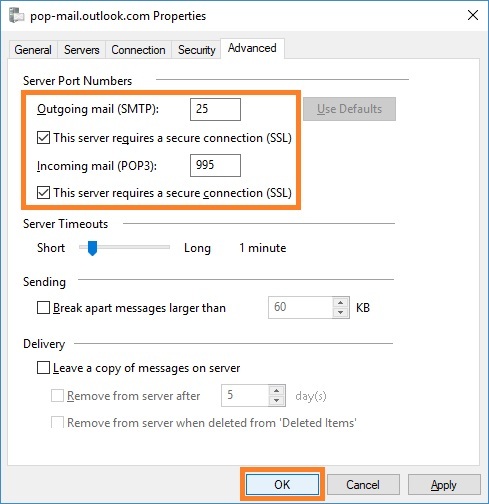 Close the Internet Accounts window and click Send/Receive to start checking your Hotmail (Live, Outlook.com) messages. 10. On the Internet Accounts screen, make sure that your imap-mail.outlook.com mail account is selected, and then click Properties. 14. 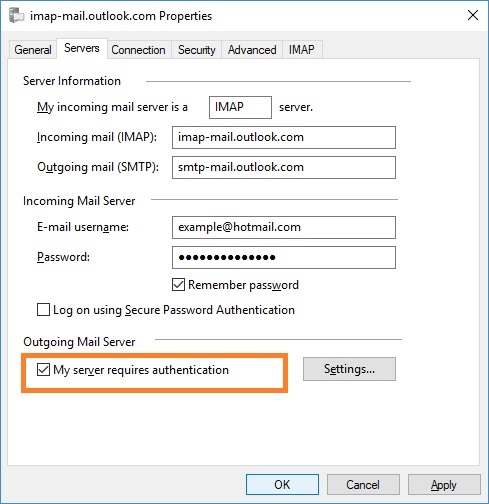 Check the box next to This server requires a secure connection (SSL) under Incoming mail (IMAP). The box next to Incoming mail (IMAP) should be automatically updated to 993. 15. Click OK. You're done! On the Internet Accounts screen, click Close. 16. 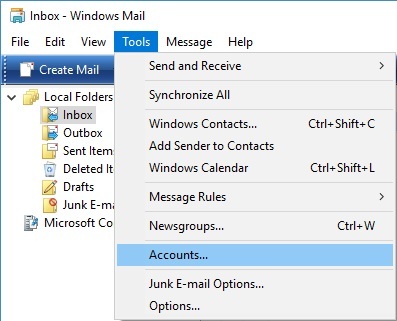 Now, select Yes to download the list of Hotmail (Live, Outlook.com) folders to Windows Mail.